The Franconian International School believes Information and Communications Technology (ICT) plays an essential role helping students contribute their ideas and insight responsibly to an ever-changing world. At the FIS, the ICT curriculum is used to enhance student learning by developing and applying technology skills in integrated ways. It is based on the International Society for Technology in Education (ISTE) standards. Technology supports learning by inspiring, connecting, and preparing our students to find creative solutions to challenges. What Does E-Learning Look Like? Technology teachers support the full integration of ICT in Early Years and Elementary School to ensure all subjects are able to deliver lessons that focus on their content skills plus relevant ICT skills. Students use iPads in class and have access to computer labs, they share their learning on blogs, and use technology to create projects that show their understanding. Technology allows these students to access information, creatively express themselves, and have shared experiences with peers and experts all over the world. iPads are required for Grade 6 and Grade 7 students. Grade 8 students have the option to choose between bringing a laptop and an iPad. Middle School students have two Design classes per week and other lessons where ICT teachers assist with technology use in the class. A focus for Middle School students is using technology to design and create products. Since assignments are posted online and students bring their own device to school, learning to effectively organize digital work, find answers and solve problems independently are important skills. A continued emphasis on digital citizenship also plays a key role. Laptops are required for Grade 9 to 12 students. High School students have options of pursuing their interests as they make course selections, and their technology use depends on these choices. Students taking music classes will learn about applications of technology for composing music. Art classes delve more into using digital graphic design tools to explore a range of techniques. Sport and science classes graph and analyze data from trials and experiments while many other courses use technology to look more and more critically at their sources to examine validity and select appropriate resources for their research. Students who are interested in courses focused on understanding how computer systems work and how networks, websites, and programs are created, have the option to take ICT in Grades 9 and 10 and IB Computer Science in Grades 11 and 12.
iPads are required for Grade 6 and Grade 7 students. Grade 8 students have the option to choose between bringing a laptop and an iPad. Middle School students have one ICT class per week and other lessons where ICT teachers assist with technology use in the class. What are the device minimum requirements? 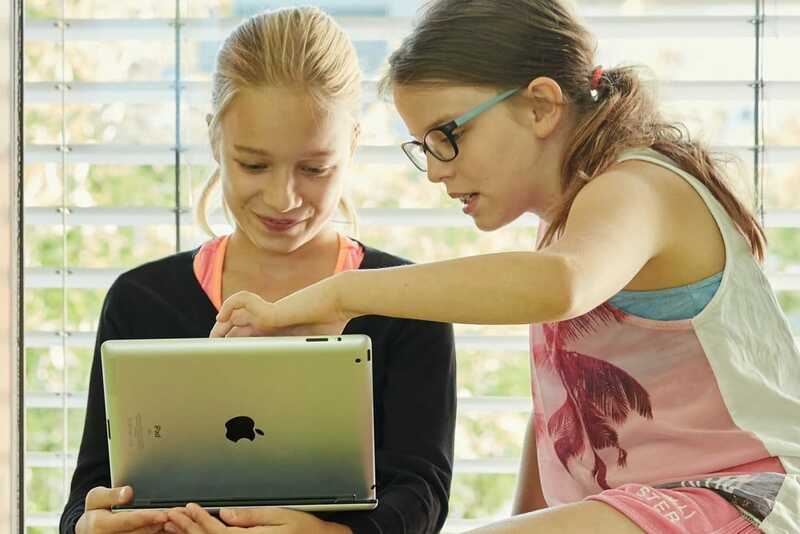 Why has Franconian International School decided on a bring-your-own-device (BYOD) program for students to bring their own iPads and laptops to school? Are parents expected to personally purchase new iPads or computers for each child enrolled at the FIS to satisfy the curriculum development within the school? Why were iPads chosen as the device for Middle School students? Why have we chosen laptops for High School students? How will students use the devices in the classroom so they don’t miss social engagement? Will students always be in front of a screen? What is the school’s strategy regarding handwriting? Is the use of iPads/computers seen as a replacement for note taking? How does the school ensure that handwriting is still a primary skill? How will the school help my child keep the iPad or laptop safe and secure while at school? What happens if an iPad or laptop is lost or damaged at school? How will my child tell which iPad is theirs? Will the school provide charging cables for the iPads or laptops? Do students need to bring their device to every class? If I buy the laptop in the Germany, can I change the language to reflect what we speak at home? Do students take their devices home with them? How will I manage the iPad? Will the school offer any support in setting up iTunes accounts and managing apps? Can my child and I configure or personalize the device in any way? Will there be ongoing education for parents? What are the expectations around using the device at home? Is it just for schoolwork or can my child use it for personal or entertainment reasons? How can I help support the school with this program? Where can I find the additional resources from the movie Screenagers: Growing up in the Digital Age? All iPads coming to school need a protective case. We recommend the Otterbox for its quality drop protection or the Nutcase which was designed by an innovative student attending an international school in Rome, Italy. Otterbox has offered the FIS their Defender iPad Cases at a price of 44€ plus 3,50€ shipping. Please contact t.schanda@hifi-extra.de to get this deal. The Nutcases have also been offered at a discount price, please check with allen.lindblad@the-fis.de to be added to the next bulk order of these cases. We also recommend the purchase of a Bluetooth keyboard (some keyboards double as a case like the Logitech Focus Case, look into these options first before purchasing a separate case you might not need). If you are not sure if your current device will meet the minimum requirements you can bring it to school to have IT Support give you their recommendation. BYOD is a cost-effective way to take advantage of the devices already owned by FIS families. Informal surveys of Middle School and High School students showed that a majority already have an iPad or laptop at home and it is our hope that the availability and options to choose different models of devices will help families meet this new requirement. Another more important reason for going with a BYOD model is that we want to allow High School students the freedom to choose the operating system they are familiar with that best meets their learning needs. This also allows the school to invest funds in the necessary technology infrastructure improvements such as Internet bandwidth and better wireless network. We also want students to feel a sense of ownership of their device and act responsibly with their technology use. Reports from other European international schools indicate that when students choose their own laptop, they take better care of it and use it more effectively than in schools where students lack that sense of ownership and choice. These students are more likely to use these devices outside of school for learning purposes. Results of a survey of 62 international schools worldwide show that 51 have 1:1 programs. Of those schools with 1:1 programs, the majority (65%) use BYOD. Yes. As with many of your jobs and everyday interactions, we see the need for iPads and computers to be regular supplies like notebooks and pencils as our authentic learning experiences are demanding these tools more and more frequently. Additionally, many families at our school are here temporarily and would like to take these devices with them if they leave the school. Ultimately, we know that parents are paying for the devices either through increased school fees or by having to purchase the device themselves. The advantage of BYOD is that you get to keep the device and select the device and payment plan suiting your budget. 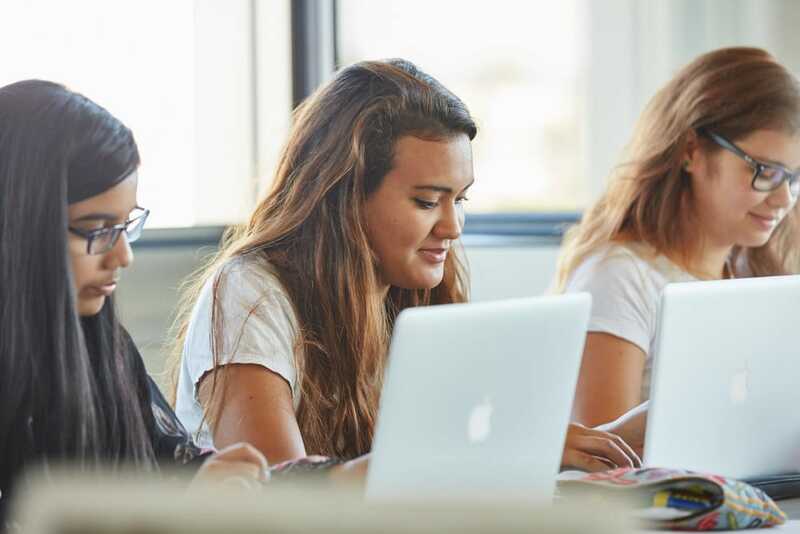 Many of the colleges and universities our IBDP graduates attend also have requirements for personal devices, so we see a continued need for these learning tools even beyond your child’s time at the FIS. The school has an agreement with FMS-Computer in Erlangen to purchase iPads, MacBooks, accessories, and insurance at a reduced cost. The Documents and Reports section of the Parent Portal has the specifics about these deals. Variety and number of educational applications available. The vast majority of schools using tablets have chosen iPads and developers have followed this trend making a large number excellent educational apps available first and sometimes exclusively on iPads. We are also able to manage app distribution so the school can purchase and distribute apps to students in a specific class or grade insuring everyone has the needed apps at the correct times. Productivity: iPads allow students to communicate, collaborate, research, write, publish, make movies, draw, read and practice their mathematical skills in a variety of ways that assist learners at all levels. Portability: iPads are light and compact and can be taken to wherever learning is happening without adding significant weight or bulk. The flat design also allows students to communicate in groups looking over their devices rather than all arranged facing the screen of a laptop. Battery life and startup/standby speed: iPads have excellent battery life and should last all day without charging. They can be ready to go or put away almost instantly without wasting time or disrupting the creative flow of lessons. Combined, these features lead to the easiest and best possible integration of technology into our existing curriculum rather than a cumbersome add-on. They fit seamlessly into (and out of) lessons. Plus, for Middle School students, the majority of the work they need to do with technology in the classroom can be done on an iPad. We are also recommending that students bring a keyboard (see below for recommended keyboard models). With each new grade level, the amount of writing, typing and Internet research students need to do continues to rise. While iPads can do most things students will need to do in High School, a laptop will be more conducive to typing, accessing flash-based sites for maths and analyzing and graphing data in science. As our programs continue to grow and develop, some subjects are now using powerful applications that would not run on mobile devices. To prepare for High School and to ease their transition, we begin the option of bringing a laptop instead of an iPad in Grade 8. Much of the concern and research around children’s use of devices is in connection to “passive” screen time, i.e. merely watching and consuming content. Devices in use at the FIS are about “active” screen time- engaging and doing, not just consuming. The most successful technology initiatives in schools push for a balanced approach of device use, and only have students using their devices 30-40% of their school day. While this is a significant amount of time, not everything will need to change immediately or, in some cases, ever. There are things that technology can’t replace. Computers and iPads aren’t in use the entire school day. We are providing opportunities and support so that teachers will be actively searching for innovative ways to use technology to allow their curriculum to expand or deepen and communication is a key component. The FIS provides the level of support that’s needed for teachers to explore best practice. Thus, we use the term integration, not replacement. We believe that added technology does not mean a loss of other valuable activities or experiences. In fact, along with our technology initiative we saw the need for students to remain active and we increased the amount of time allotted for High School Physical Education classes, changed the format of Elementary School lunch and snack breaks to maximize activity during these times, and we continue to look at our timetable for possible changes that support student well-being. The devices are not really valued as portable screens or mobile gaming devices. Teachers I talked to seemed uninterested, almost dismissive, of animations and gamelike apps. Instead, the tablets were intended to be used as video cameras, audio recorders, and multimedia notebooks of individual students’ creations. As teachers approach technology use like any other classroom tool, we see, for example, Sport lessons where physical fitness and growth on their personal continuum are the main focus with digital devices assisting in the observations and reflections. Handwriting is an important skill that will continue to play a crucial role in children’s learning. When our youngest learners just starting at the FIS graduate in 15 years time, we have no way of knowing what skills employers will be seeking, let alone what they will need to be capable of doing so we will not be removing any writing skills from our curriculum. However, we feel that technology will also continue to play a larger role in how people work, live and contribute to the social and civic aspects of their communities so teaching both handwriting and typing skills will be important. The curriculum of a quality education needs to include instruction in the use of technology for communication, organization, research, presentation and skill development. We make this instruction a more formal part of our curriculum in every class, not just in the computer lab so it continues to be seen and used in an authentic context. We want students to be prepared for their future, one that is certainly going to be rich in technology. Digital skills are being taught side by side with conventional curriculum to foster well-rounded students and will give our diverse population many more options for expressing themselves, gaining understanding, and sharing their voice than were possible without these tools. Teachers and parents have been faced with the challenge of keeping students engaged in the task at hand and using materials in an appropriate manner for a long time. While digital devices like iPads and Smartphones are the newest tools children use for fun, in the end this is no different than assuming that the teacher will manage their class and make sure the pencil you send in for class will not be used to doodle when a research paper has been assigned. Each tool requires slightly different usage approaches and each teacher manages their classes slightly differently, but the expectation will be that in school these devices are used as learning tools. Our Elementary School classes have adopted one rule for the use of iPads, “I will be responsible and make smart learning choices while using my iPad.” These classes have been discussing and building their understanding of this rule throughout the year along with the outcomes of following or not following this rule. Students have the option to store the device in lockable storage. We also require all devices to have a security pin and other security measures setup. It is the responsibility of the student to take proper care of their device while at school. The school insurance policy does not cover personal belongings. We recommend that all families purchase insurance through their personal insurance providers or another provider. In general, some of your existing insurance policies likely cover the loss or damage of electronic items, including iPads and laptops. In some cases this must be specified by the policyholder and additional premiums are charged. Students should also ensure that they take responsibility for their iPad and keep it in a safe, secure place when not in use. In the case of an iPad or MacBook, families are encouraged to turn on the “Find my iPad” or “Find my Mac” setting which will allow parents to search for and locate the device if it is off-campus and even delete all data and lock the device. In the case of PC laptops, we recommend students install device tracking application like Prey which can be downloaded free from preyproject.com. In the case of either a missing iPad or laptop, if the proper software has been installed or settings turned on, the staff in the Technology Department can assist parents and students in using that software to locate missing devices. Please note, however, that, if the device is switched off and not connected to a network or the Internet, the device will remain out of reach of these tools. In order for students to be able to quickly and easily identify their own device, we recommend not only that the device have a case (required) but also that parents engrave the iPad. This can be done at the time of purchase from Apple. You can also apply a sticky label with the student name. We will also register the device on our system so that the hardware address of the device can be tracked while at school. No, students should bring their iPad and laptop to school fully charged each morning. Your child’s device should have a powerful battery which can last all day. They may need to adjust some settings, like screen brightness, in order to maximize their battery life. In some locations, such as the library or computer labs, there will be power outlets available for students to use in an emergency situation. You may wish to purchase an additional charger for your child to have on hand in their locker, so that they don’t have to carry it back and forth to school. In general, though, we will be avoiding the cable clutter and tripping hazards caused by having power strips everywhere. Yes, Middle School and High School students will be expected to bring their devices to every class, but they will not always use them in every lesson or every class. Teachers have been asked to use the technology when and where it can support or enhance learning. MacOS and Windows 8/10 all allow you to change the system language without additional purchases. In the settings you can switch between multiple languages on MacOS. With Windows 8 you can download multiple language packs and switch between them as you wish. It’s a great way to personalize your computing experience and stay connected with your mother tongue. Laptop keyboard input can also always be changed to another default as well. This might be problematic for some students who do not have the keys memorized since the key labels remain the same. It is recommended asking about available keyboards before making the purchase locally and prefer something other than a German keyboard. Yes, students own the devices, so they are encouraged to carry them to and from school so they can use them at home for extended learning opportunities. The devices will be owned by you and your children, so we expect you will want to manage the purchase of apps on the device from home. Getting all apps, either school provided or personally purchased, will require an Apple ID. If you are unable to setup an Apple ID and iTunes account we will provide parent training and student guidance in setting up iTunes accounts to acquire apps. Children under 13 should have their Apple ID created by a parent who has their own Apple ID. When an adult is logged in they can create a child’s account through the family sharing settings. Yes, the device belongs to you and your child. We recommend free software for High School students, though some classes require a refundable deposit to install additional software. All students also have access to download and use Microsoft Office 360 for free. All devices must be registered on the school network. Yes, look for information and materials in the newsletter regarding parent information sessions offered at different times throughout the year. We strongly recommend that you sit down with your child and establish some parameters in terms of device use at home and ownership issues. Students need to know that the device needs to be cared for and that there will be consequences for misuse and if it is broken because of carelessness. Home use needs to be addressed up front. The device is supposed to be used for learning, for homework and school work. This must take precedence over surfing the web, socializing and games. Depending on your family, rules and limits regarding time-on-screen are encouraged, to keep students from spending all their time using their device and not interacting socially with other family members and friends. We recommend these rules be clearly spelled out by parents before the school year begins. Wie lange darf mein Kind spielen? Internet-Sucht – welches Kind ist gefährdet? providing a protective case to keep the device from being damaged. Some material in this document was adapted with permission from www.aisr.org.